If you stopped getting a paycheck today, would you simply wait till your business collapse? Hope as any other concerned business owner you’d better apply for personal loans for business when a cash flow hiccup becomes out of your control. We all know that money doesn’t make you happy but face it, it’s next to impossible to live without it. Whether you like it or not but cash is a king today. Even more, cash is a necessary evil in keeping your business alive and healthy. You must agree, spending money is fun. We all wish we could spend money on two-vacations-a-year-in-a-foreign-land or buy a holiday home at Lake Tahoe. Who of you does not want to have a share of the American dream? Actually, the harsh financial reality is nothing out of ordinary for over 12,7 percent of Americans that live in poverty. The fact is true that for 34 percent of Americans borrowing money is the only option to stay on top of their bills. One of the reasons is that they simply do not have enough cash to avoid going into debt. Do you know that over 57 percent of Americans have less than $1,000 in the bank, while 39 percent have saved nothing at all? What are Your Options to Start up a Business? To begin with, there’s not a perfect formula for starting out a business, while every situation is different. If it were easy, everyone would be a business owner, right? In fact, no one can ever prepare you for the challenges that you as a business owner will face. Whatever challenges you might experience, a personal business loan can help keep your business alive and healthy. Just know that you are not alone. And that’s not all about banks, different alternative online lenders and investors offer a variety of financial solutions for businesses. According to the Finder survey, 47 percent of adults take out a personal loan to finance their small business. Apart from keeping your business moving forward, a personal loan to start a business can be especially useful for new business owners without established business history. As a rule, online lenders focus on more than your credit or business history to make a decision. Do you know that according to Bureau of Labor Statistics, Business Employment Dynamics, only two-thirds of companies survive at least two years, and about half survive at least five years? 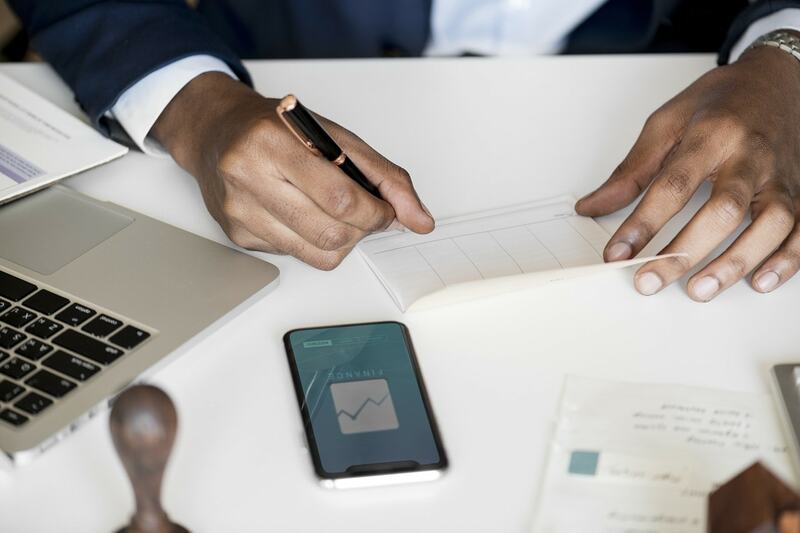 With the primary purpose to help you get control over your cash flow hiccup, a personal loan for small business offers generally lower interest rates than other business loans. As with any other financial solution, personal business loans have their advantages and disadvantages. But the point is, your funding can be available within 24 business hours. interest rates are often competitive. Being unsecured, personal loans for business can be approved in under 24 hours, indeed considering your credit score. Thus, online lenders consider your operating history, revenue and your operational potential. With an accurate credit score that still carries great value, chances are high that your funding will be as quick as possible. Yet, if your credit score happens to be on the low side, you still have a chance to get the much-needed boost to help your startup scale to new heights. Besides, 49% of the small business owners claim that the possibility to get a quick cash flow is the most prominent reason of applying for a personal loan for business startup. According to the Fundera poll, only 89,73 percent of business owners checked their personal credit score at least once a year. Meanwhile, 58,19 percent of respondents do not check their business credit score at all. Even more, 34,23 percent of interviewees are not interested in their business credit check at all. Once you learn your credit score, it becomes much easier for you to understand your opportunities. With a credit score of 580 or above, getting a personal loan for business is your viable option. How to plan to start your business without having enough funds? As the old saying goes – what is not measured cannot be managed. So, take care of your credit score. Measure it! How to Apply for a Personal Loan for Business Start up? Indeed, big banks still take the leading position when applying for small business financing, yet, nearly 11% of respondents prefer to get their small business personal loans with an online lender. Clearly, this alternative form of small business finance lending has developed consumer trust by offering easy and quick financial solutions even with a poor credit score. Generally, personal loans for business start up work great if you are just starting out with your business. In case you do not have spare time but have a cash flow hiccup right now, different online lenders are still willing to offer you getting start up loans hassle-free. From the other hand, if you need a small sum, turning to big banks may not be your safe bet. The cost of setting up both small and large loans is often the same but is significantly less lucrative for big banks. So, chances are slim that you will get a small personal loan for business from the bank. Are you considering a small business financing for your business start up? Sometimes, finding the right financial solution can be the same as looking for a needle in a haystack. Stop seeing the vast forest, instead focus on your needs and look for options that meet your requirements. And the last thing, a bad credit score shouldn’t stop you from exploring options available for personal loans for business. Have You Ever Wondered Where Does All the Money Go?